Learn about our Pre-Owned Confidence Program here! Thanks to Michael for this great shot of our new badge on the back of his new car! We make the dream of owning a new Mazda come true with an award-winning lineup of new and used cars, auto-financing that's easy to wrap your head around, and an expert team of auto repair specialists dedicated to using only Mazda parts. What new 2019 Mazda models do you have to choose from at Sill-TerHar Mazda? The answer is many, which sounds vague, we know. But it's true. What we can tell you is that among the most popular are the Mazda3, Mazda CX-3, Mazda CX-5, Mazda CX-9, Mazda5 and Mazda6. That said; we recommend you keep an open mind. For, your criteria might be different from Jane's and Joe's, down the street. And, remember while our online inventory is always evolving, it's also always up to date. Call us today at (303) 469-1801 to schedule a test drive. Looking to spend less on a car and apply the savings somewhere else? Not a bad idea if you ask us. We offer a wide selection of quality used cars that drivers in the Broomfield CO, Denver, Lakewood, Longmont and Aurora can enjoy. So take that extra green and use it for a down payment, vacation, whatever suits your fancy. You'll still enjoy like-new quality and performance. Used is really just in the name. If you need any assistance finding a new or used Mazda in Broomfield then please complete our CarFinder form and let us find the car of your dreams. 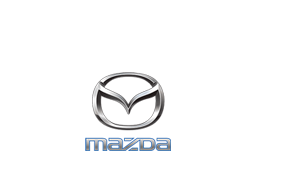 We are the premier Mazda dealer proudly serving Denver CO, Longmont CO, and Lakewood CO. While our assortment of new and used vehicles may be overwhelming (and we mean that in good way), the financing part is easy as pie at Sill-TerHar Mazda. This means the fun of choosing your new set of Mazda wheels isn't diluted by the stress and/or headache of figuring out terms and conditions. Not only will we do the negotiating for you and get a car loan or lease at optimum rates, we will explain everything in everyday lingo so that there is no confusion as to what you're signing on for and you realize just how good a deal we got you. Planning to set up shop and take care of an oil change or other car repair this weekend? Sill-TerHar Mazda has all of the certified Mazda car parts you need to do it yourself, including the oil filter. If you need to change the car battery, we can hook you up with that too - any and all maintenance and auto repair parts you need. And, if you don't have time or urge to do it yourself, you can always take it into the Sill-TerHar Mazda service department, providing drivers in Denver CO, Lakewood CO, Longmont CO and Aurora CO with everything from oil repairs to battery repairs, auto glass repairs to transmission or electrical system repairs. Sill-TerHar Mazda encourages you to browse our site to learn more about our new and used Mazda vehicles, parts and service. If you're ready to take a test drive, simply stop in and see us in person at 1480 West 1st Avenue Broomfield, Colorado during regular business hours. We're happy to get you behind the wheel.